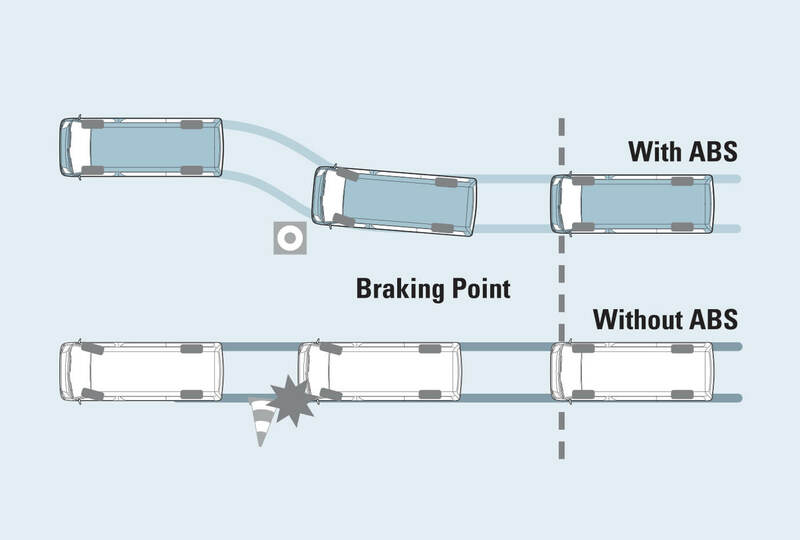 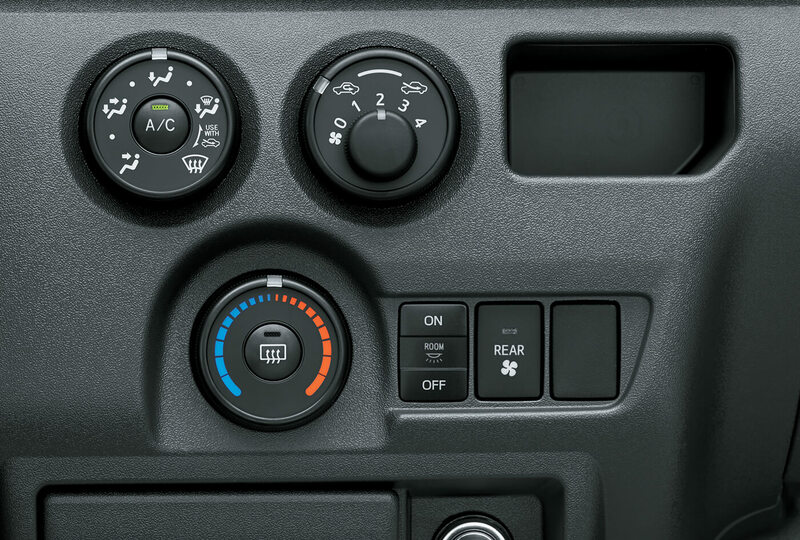 Intelligent design assures improved control and driving ease at all times. 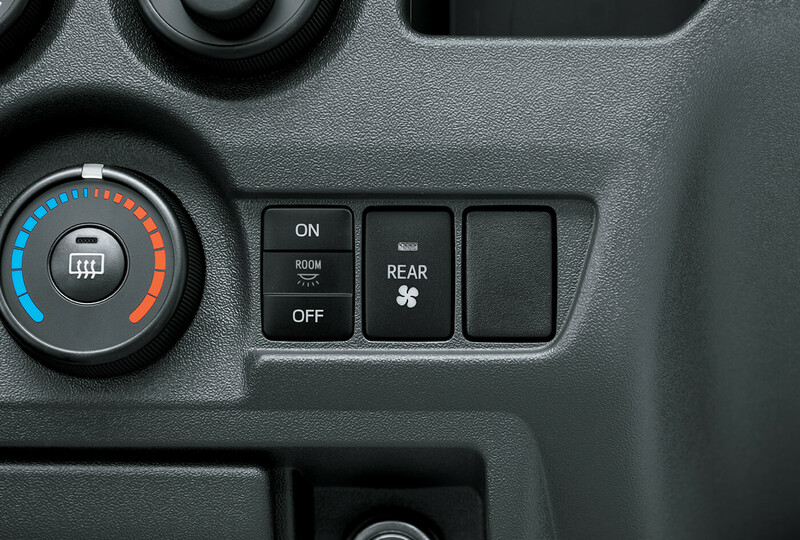 Essentials, indicators and switches are positioned for maximum visibility and intuitive operation and the new panel-mounted shift lever allows pass-through access from either side of the cabin. 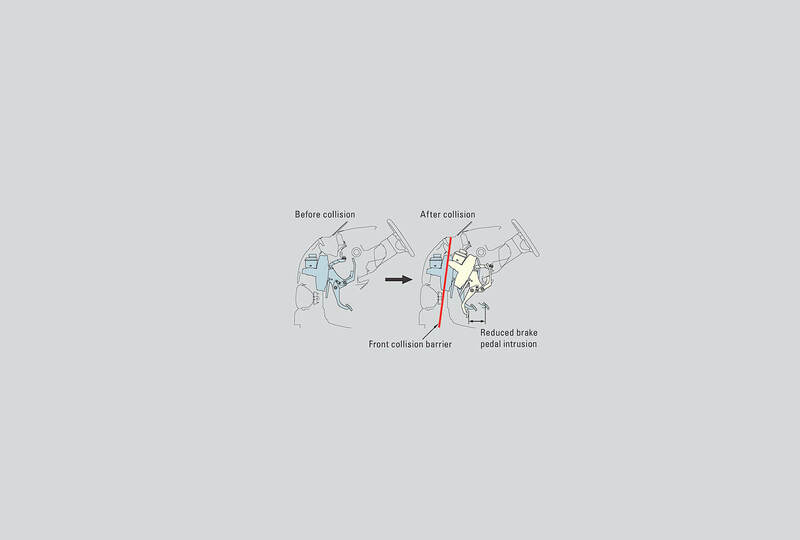 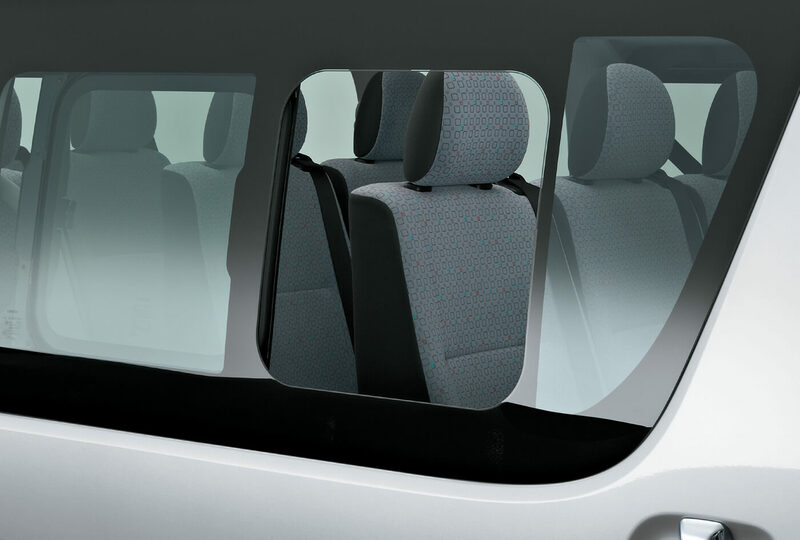 Ergonomic seat design contributes to a fatigue-free driving experience on long trips and in stop-and-go city trafﬁc, keeping you refreshed, alert and focused on the road ahead. 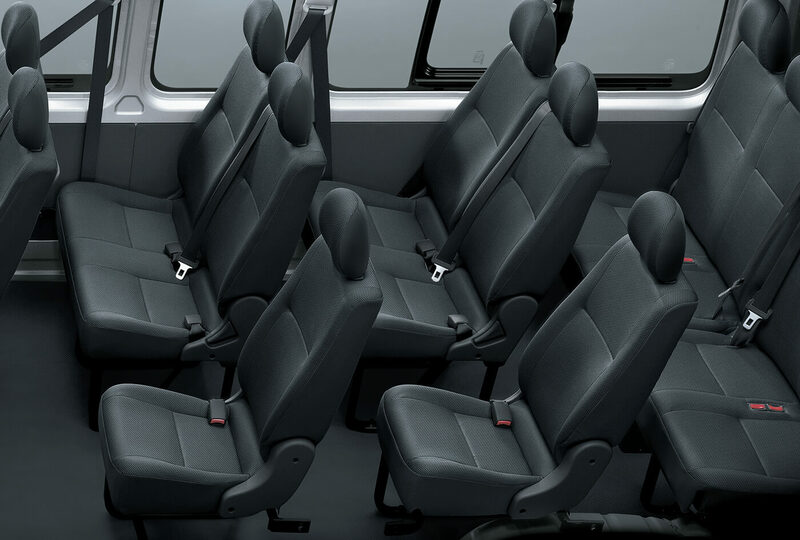 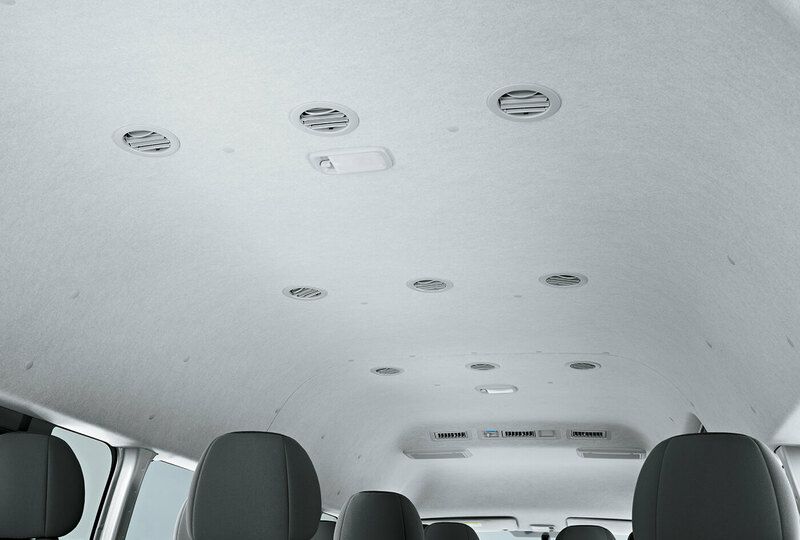 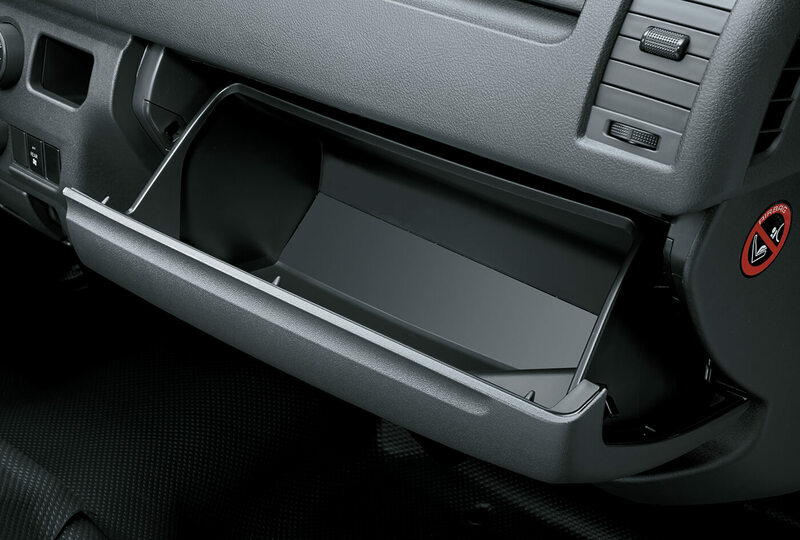 The Hiace has excellent safety features and a newly designed & improved seating area. 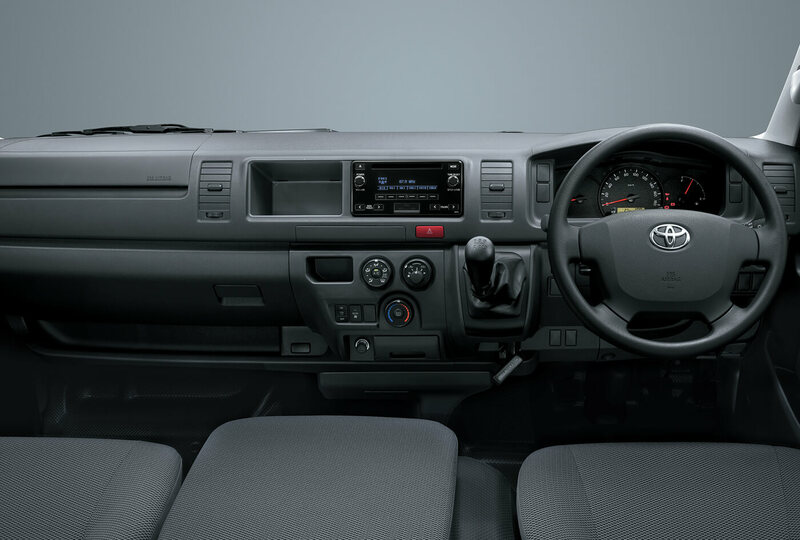 The Hiace is a relaxing and a comfortable vehicle for passengers in long rides with the advantage of head-rest* and safety belt with every seat with which passengers can enjoy a pleasant journey, safe and sound. 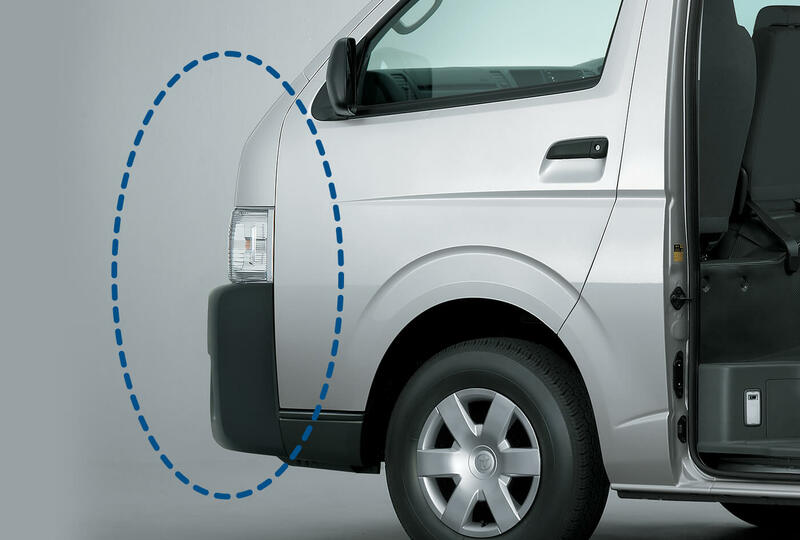 Brake pedal and steering shaft intrusion-reduction system The HIACE Van has a proven track record of durability with numerous designed features. 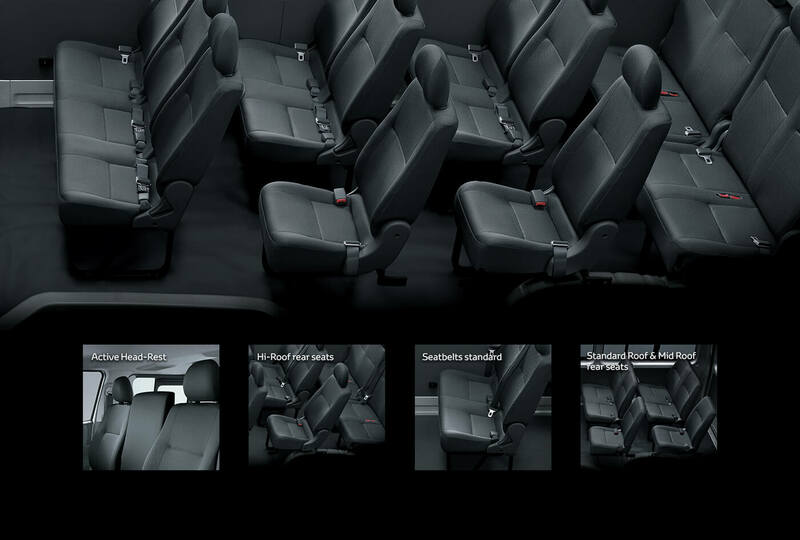 It includes superior active safety system and impressive handling with dynamic stability for the passengers’ satisfaction. 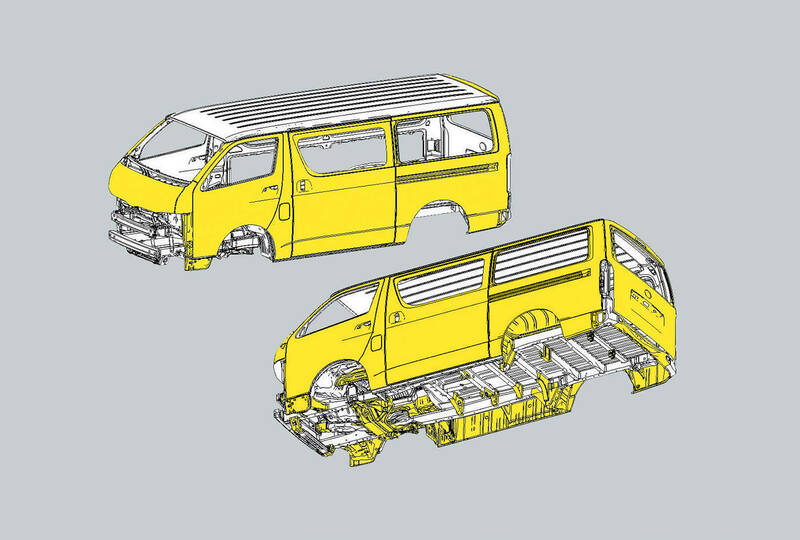 Contributing to long-term reliability, it helps protect your vehicle investment and ensures your passengers’ safety. 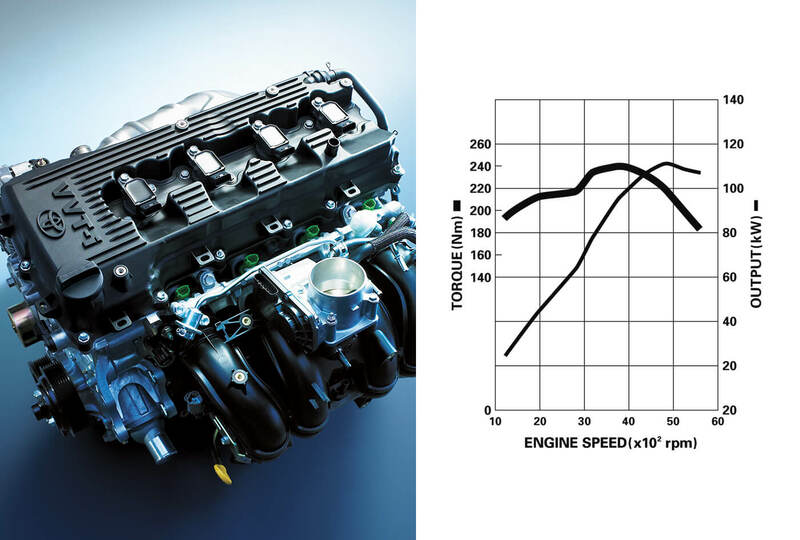 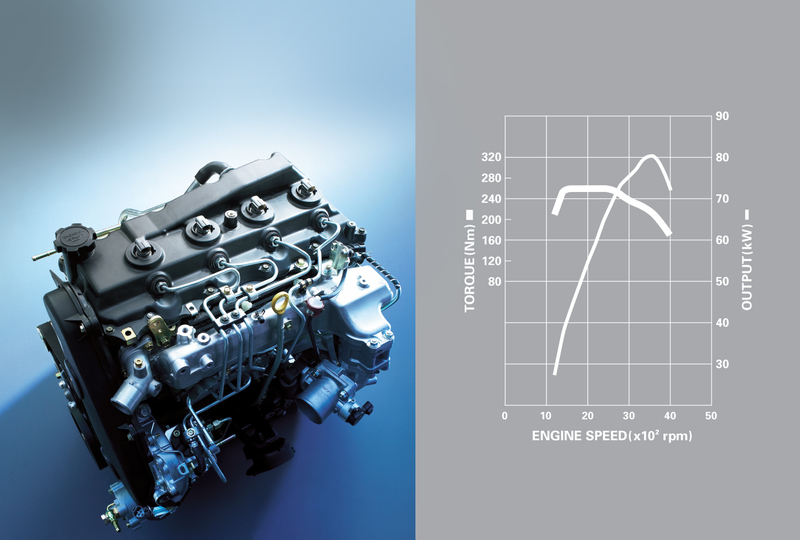 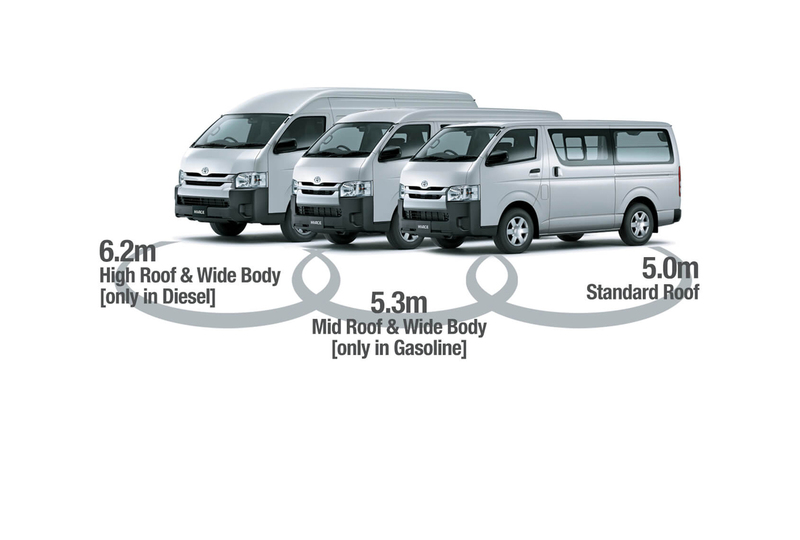 The HIACE Van has a proven track record of durability with numerous designed features. 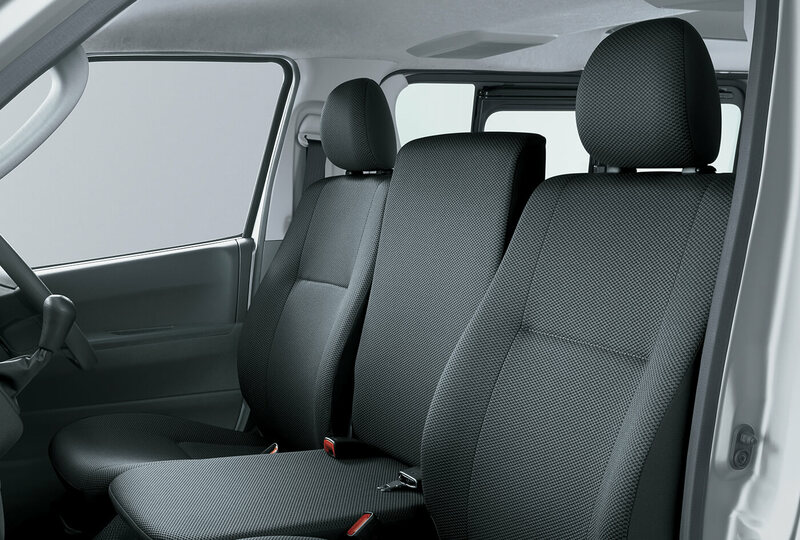 It includes superior active safety system and impressive handling with dynamic stability for the passengers’ satisfaction. 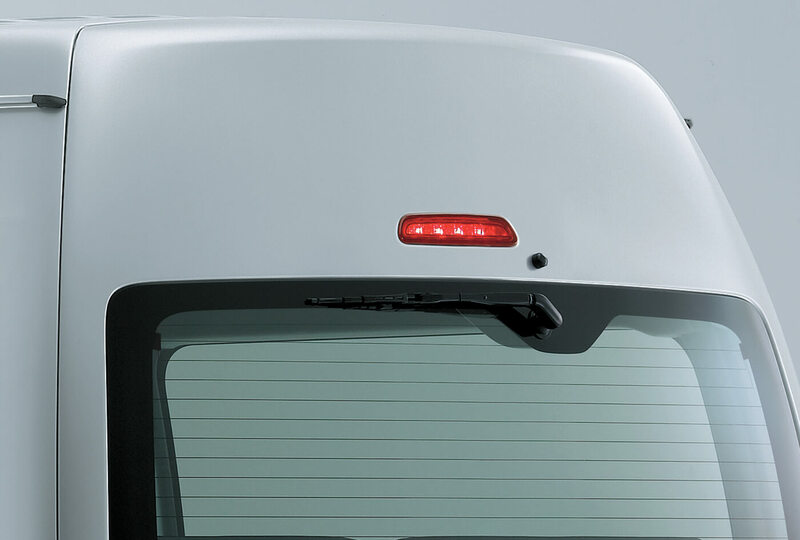 Contributing to long-term reliability, it helps protect your vehicle investment and ensures your passengers’ safety. 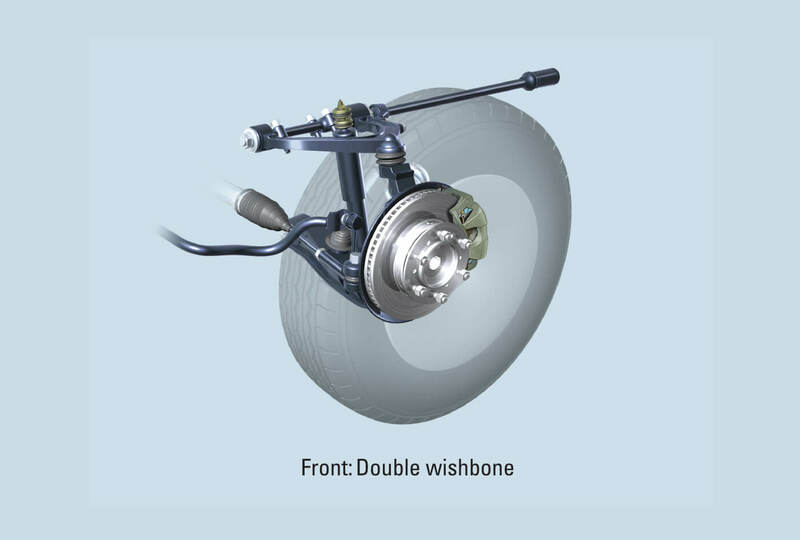 Front suspension - double wishbone The HIACE Van has a proven track record of durability with numerous designed features. 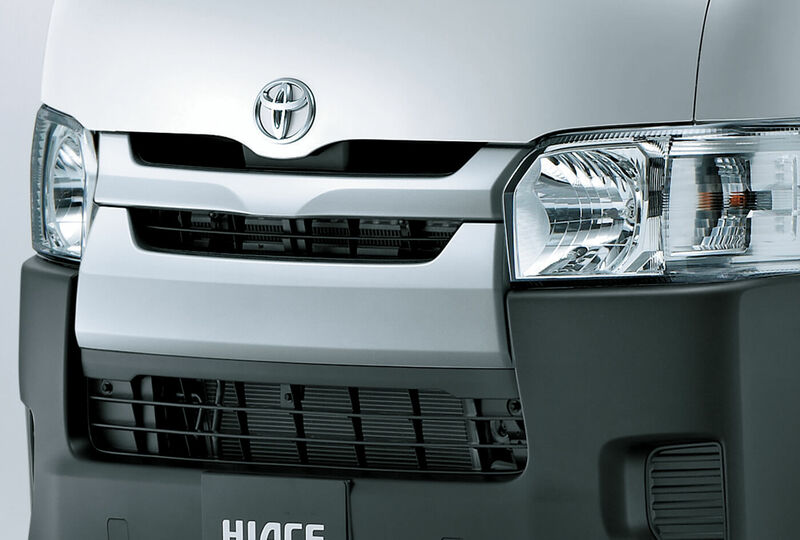 It includes superior active safety system and impressive handling with dynamic stability for the passengers’ satisfaction. 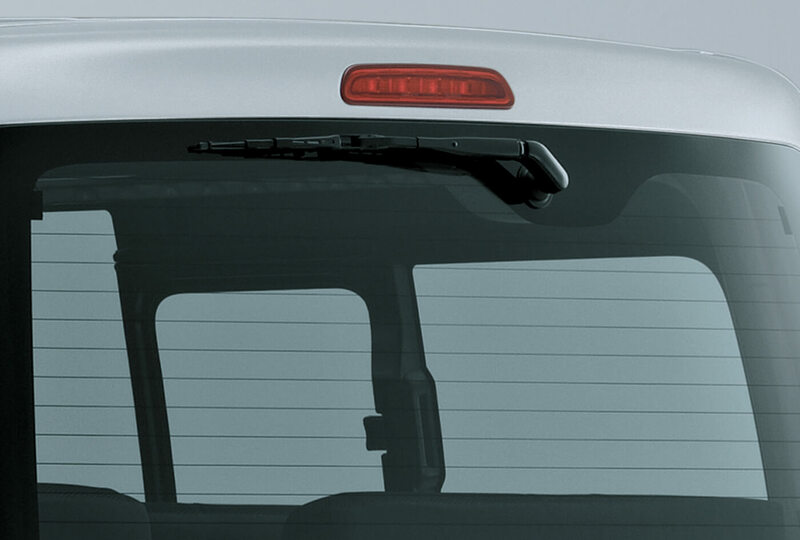 Contributing to long-term reliability, it helps protect your vehicle investment and ensures your passengers’ safety.